You like to get a clear view of your filesystem to find the files and folders that take up all the space on the hard drive? 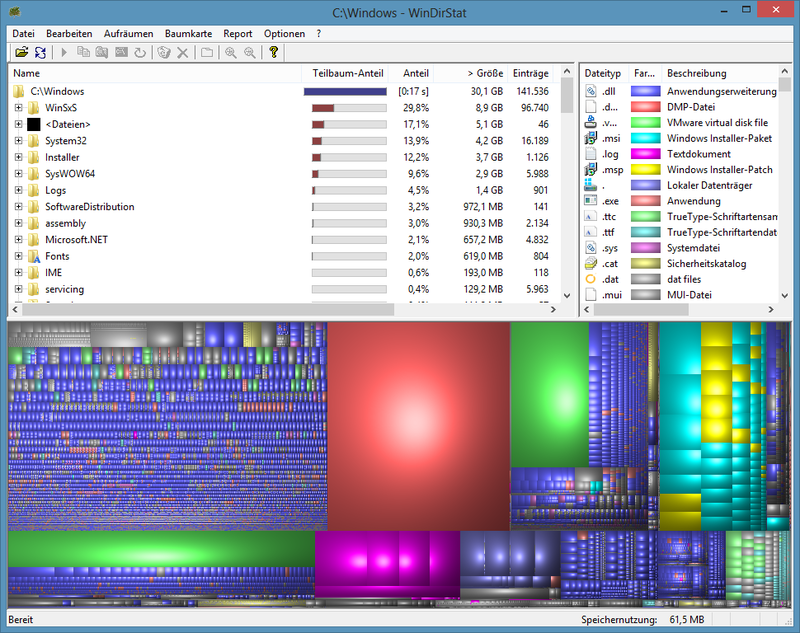 Then WinDirStat is the right tool for you, it is a free (OpenSource) program that has been originally developed under the name KDirStat for the Linux KDE Desktop. 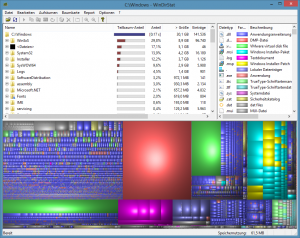 WinDirStat is available as Windows Installer and as portable App. Both versions are compatible with the current Windows versions, I've used the application on Windows 7 and Windows 8. If you don't plan to use the application regularly or want to put it on a USB stick, then I recommend to use the portable app version which makes it easy to remove WinDirStat by simply deleting its folder. ← How to recover iPhone Photos from iCloud After Permanent Deletion?